The Jerusalem Symphony Orchestra's board of directors had approved the recommendations of the search committee which was assembled in the last few months, and selected American-Israeli conductor Steven Sloane as the JSO's next Music Director. Sloane, who will be replacing Frédéric Chaslin, JSO's Music Director in the last eight years, will begin his tenure next season (2019/20). Sloane will be in charge of the orchestra's artistic plans for its subscribers and their execution, as well as promoting, strengthening and retaining the JSO's musical abilities. 60-year-old Sloane has a vast experience as a music director. He holds this position at the Bochum Symphony Orchestra for over two decades, where he was able to raise 40,000 euros for the German orchestra. The amount raised was used to build a new music centre and concert hall. In addition, under his baton the Bochum Symphony Orchestra registered a 400% increase in subscribers. Between 1999-2002 Sloane served as music director of the Opera North in Leeds, UK. Between 2007-2013 he was the chief conductor of the Stavanger Symphony Orchestra in Norway, one of the leading orchestras in Scandinavia. In the US he had served as the music director of the Spoleto Festival and as the music director of the American Composers Orchestra in NY, specialising in contemporary American music. Sloane had conducted the JOS several times in the past, and conducted choirs, Opera productions and various Israeli orchestras. Sloane holds a B.A in Music from the California University in L.A and studied conducting under Eugene Ormandy, Franco Ferrara and Gary Bertini. Steven Sloane, the elected music director of the JSO: "I believe that focusing equally on artistic quality and a continuous broadening of our audience are key to a long-term success. This is especially true in current times and in my experience this is the vision which would lead to the orchestra's success. My first task would be defining and retaining the highest musical standards alongside strengthening the bond with Jerusalem's community and audience. I will see to that that the JSO will cooperate with additional institutions in order to perform in new venues and to find the opportunities to perform in front of new audiences in Jerusalem - those who seldom visit the JSO's concerts. 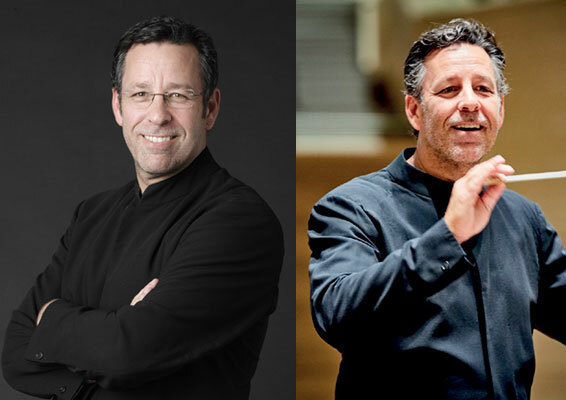 Yair Stern, CEO of the Jerusalem Symphony Orchestra: "The board of directors believes new music director Steven Sloane will lead the JSO confidently and with talent. We believe that Sloane's rich experience will serve him and orchestra, and will add to his predecessor, Maestro Frédéric Chaslin, who completes a fruitful eight-year tenure.